Those little oops moments give us the opportunity to gain nuggets of wisdom, and hopefully, not make the same mistakes again. 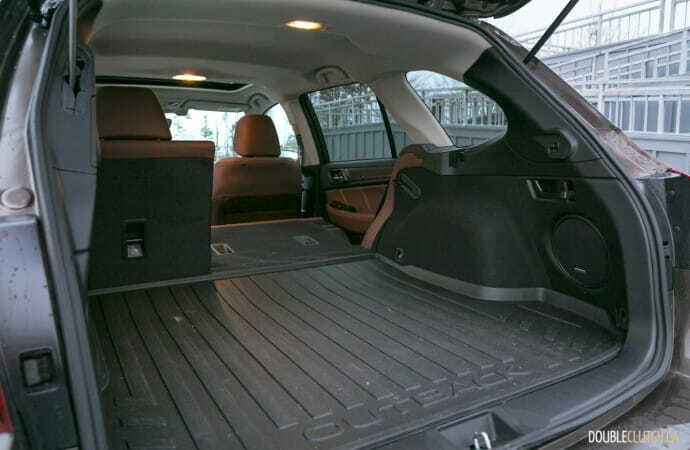 Last year for the Christmas holiday break, my scheduled ride was a compact, sporty two-door coupe. 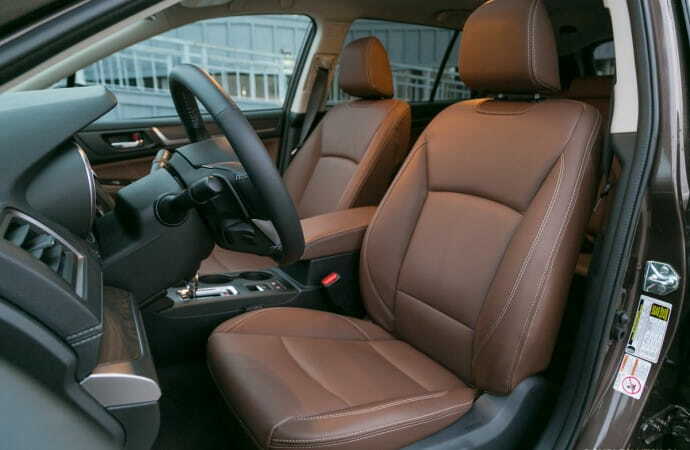 It was a coveted machine from a premium brand that harkened back to an era of purer driving cars; this one with rear-wheel-drive and a proper manual transmission. It was all good fun until I needed to pack the car with a family’s worth of luggage, Christmas gifts and people, to zig-zag around the province for a series of obligatory holiday visits, all conducted during a snow storm. After getting properly stuck on an unplowed suburban street, my oh-so-helpful family pointed out that either one of our personal Subarus parked at home would’ve made a much better choice for our Yuletide travels, and they were absolutely right. 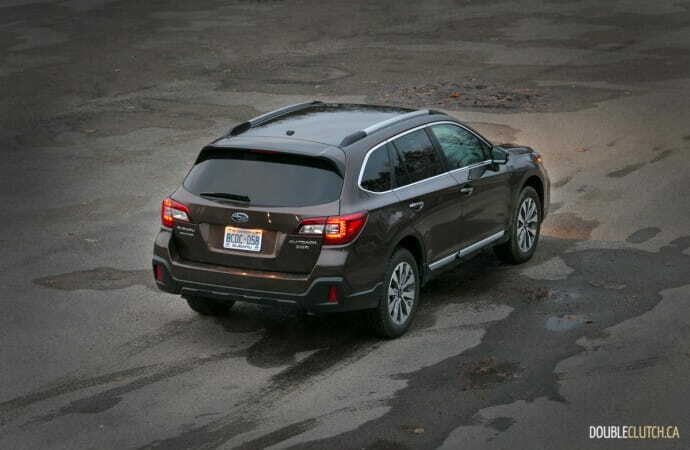 So, this year, I learned from past mistakes and in what can only be described as an act of overcompensation, I scheduled a 2019 Subaru Outback 3.6R Premier for our journey. As Murphy’s Law dictates, we ended up with a green Christmas and virtually no snow in Southern Ontario, so we drove north, venturing into the Kawartha region where we did find snow, and ice. 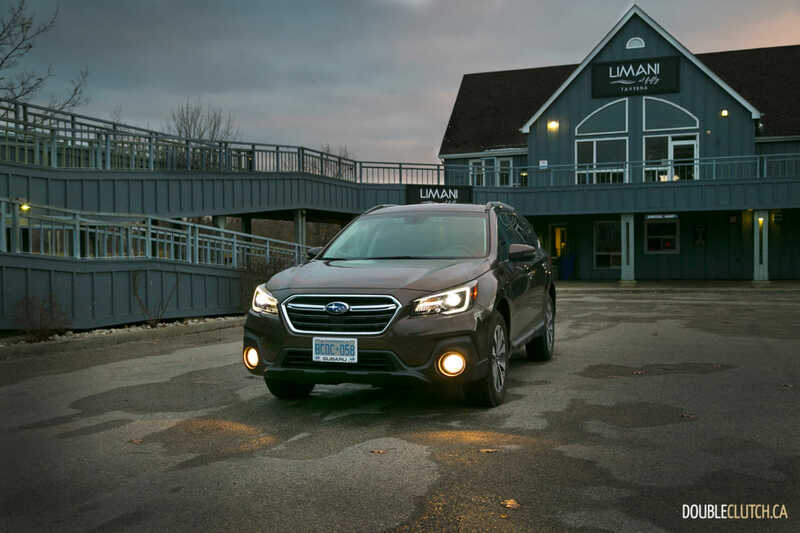 Unsurprisingly, our mid-sized chariot did what it Subarus do best: get people and cargo safely to their destination, no matter the conditions. 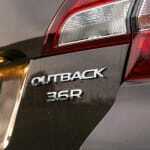 The current generation Outback has been around for several years now with modest updates along the way. 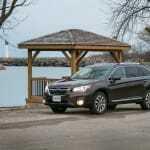 Since automotive lifecycles typically run on dog years, Subaru’s popular crossover is pretty much a senior citizen now. 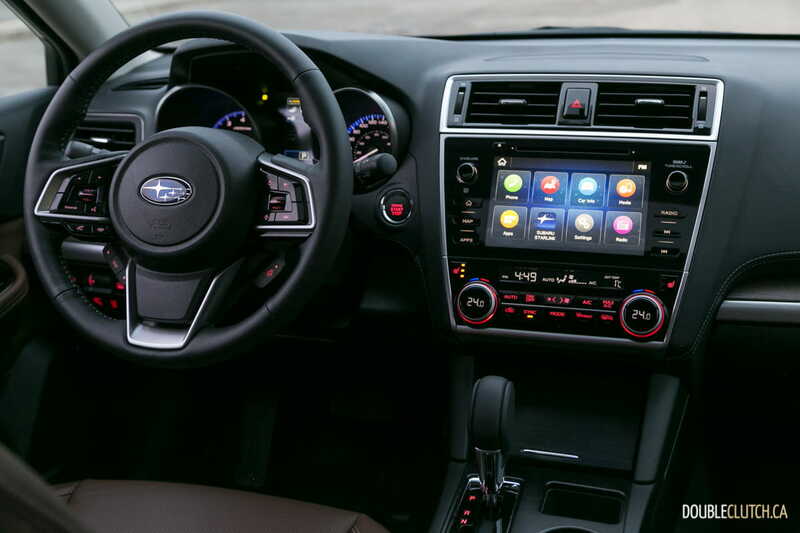 This doesn’t mean it’s tired or incapable – quite the contrary – instead, the years of wisdom collected by Subaru’s engineers have helped hone a very good machine into an excellent, refined, do-everything vehicle. The Outback cuts a traditional wagon profile without the stubby dinner-roll proportions of most contemporary compact- or mid-sized SUVs. 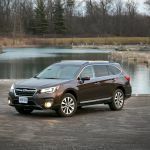 But because station wagons (or sport wagons, as we prefer to call them), are out of fashion compared to crossover-utes, Subaru has for years, given the Outback a small lift, fitted SUV tires and added a bit of machismo to the Outback. 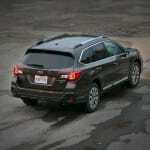 In the 3.6R Premier trim seen here, the styling details are intended to speak to a more premium aesthetic, than a rugged one, what with chrome door trim and silver roof rails, and an exclusive 18-inch wheel design, though I see a purposeful machine instead of a pretty one. The new-for-2019 cinnamon brown pearl paint looks great in the sunlight, though seemed to draw kudos from the male members of my family, but jeers from our significant others. Shrug. 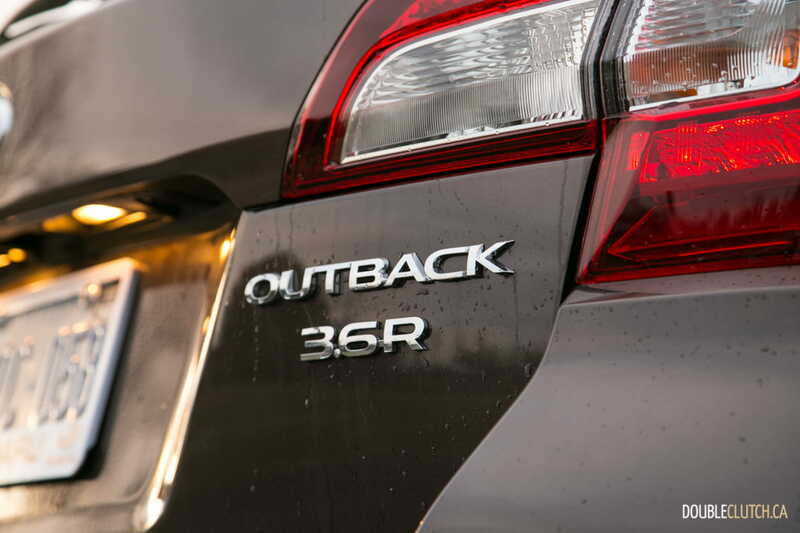 Regardless of colour, the Outback’s exterior is handsome and practical and has evolved well over its years. 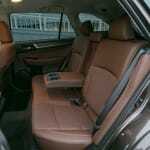 Inside, the Premium trim features comfortable, if somewhat plain brown leather seating and door trim. 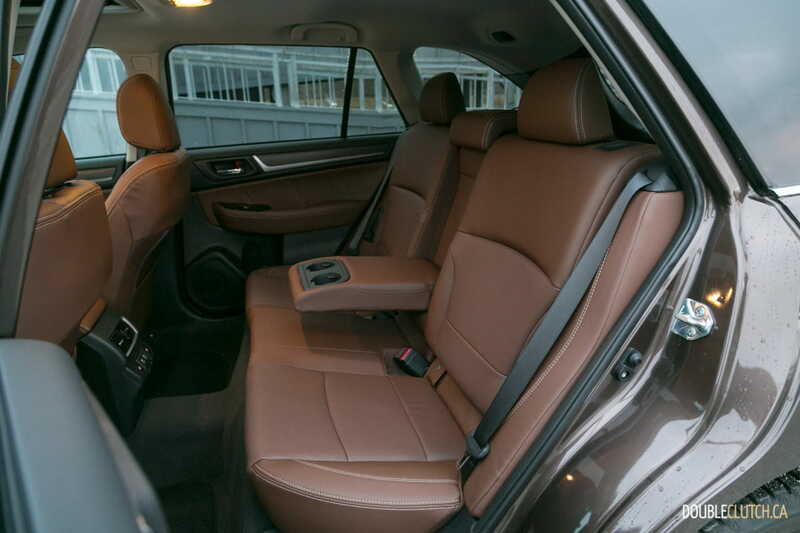 The seats, even in this top trim, offer modest adjustability, and proved reasonably comfortable, even after several hours on the road, but they’re not the best I’ve experienced. 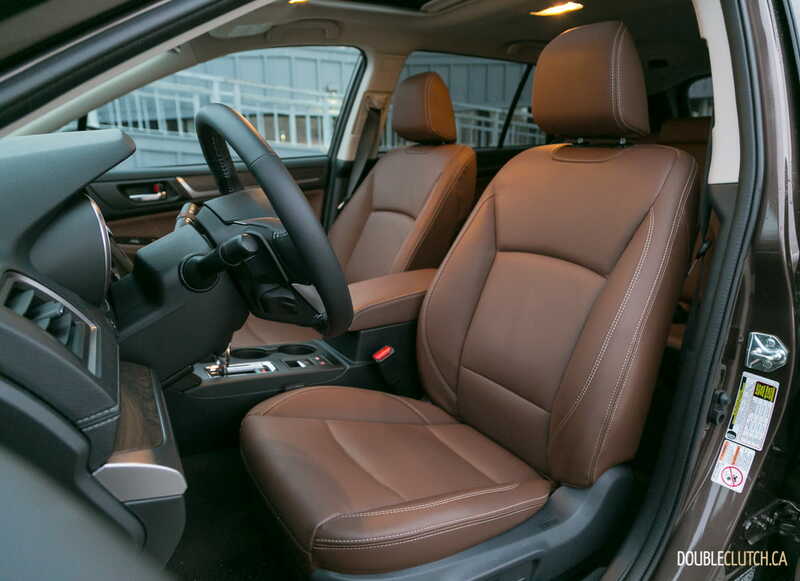 Both front and rear outboard seats are heated, though none of the Outback’s thrones are cooled. 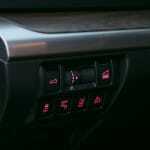 The dash has plastic wood and metal-look trim to help break up what’s otherwise a pretty straight-forward design. 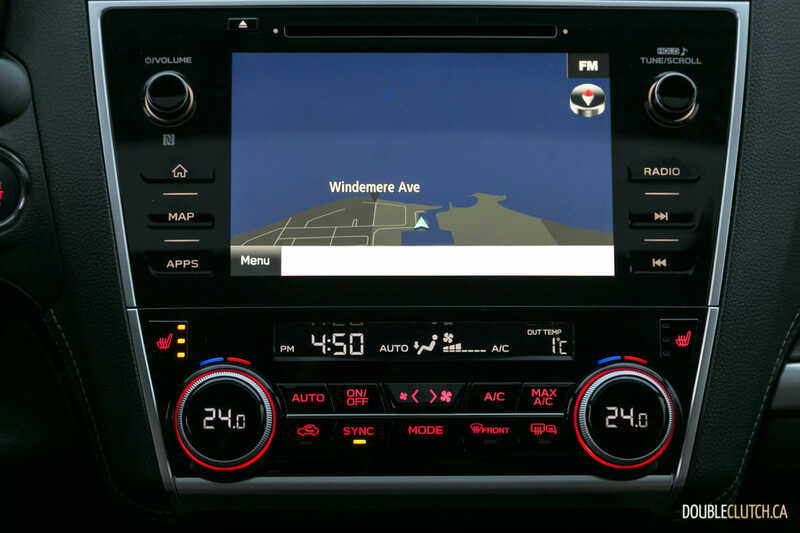 An eight-inch touchscreen infotainment system dominates the central dash, accessorized with sensible buttons for key operations (like Home, Map, Apps, Radio), plus a knob for volume and tuning adjustments and easy-to-reach knobs and buttons for the climate control. 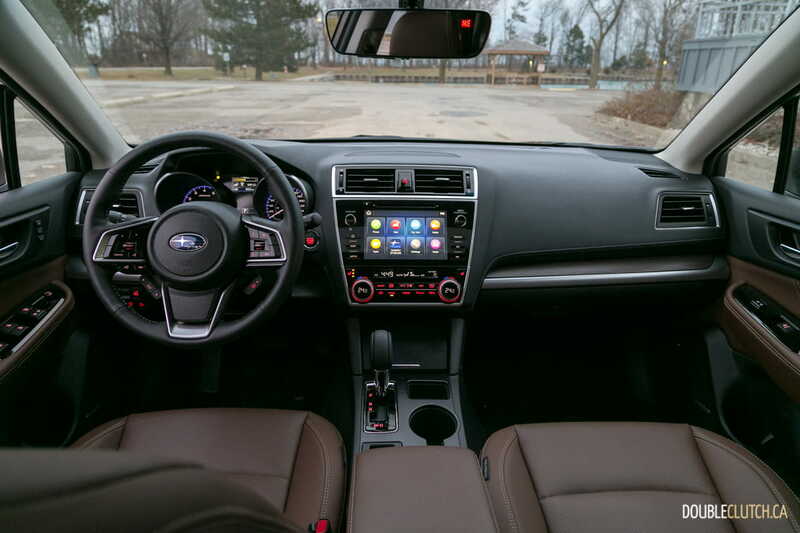 In recent years, Subaru’s initial quality ratings have suffered serious slams on JD Power’s rating scale due almost entirely to the brand’s weak infotainment system efforts. 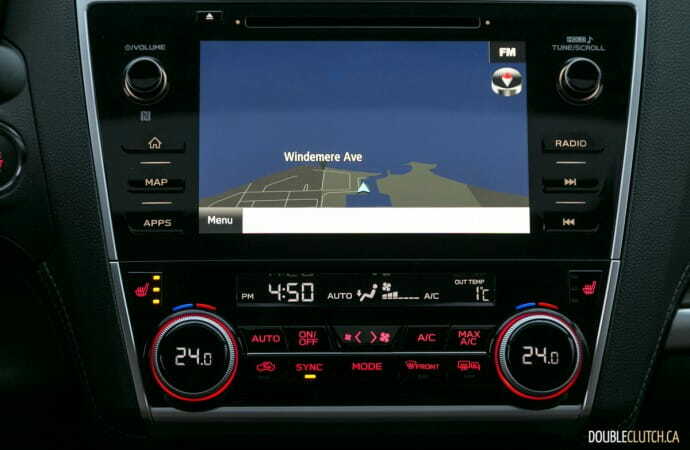 I’m very pleased to report that this new system is a quantum leap improvement in functionality and ease-of-use, linking easily with Apple CarPlay and Android Auto systems, and featuring bright, crisp graphics. 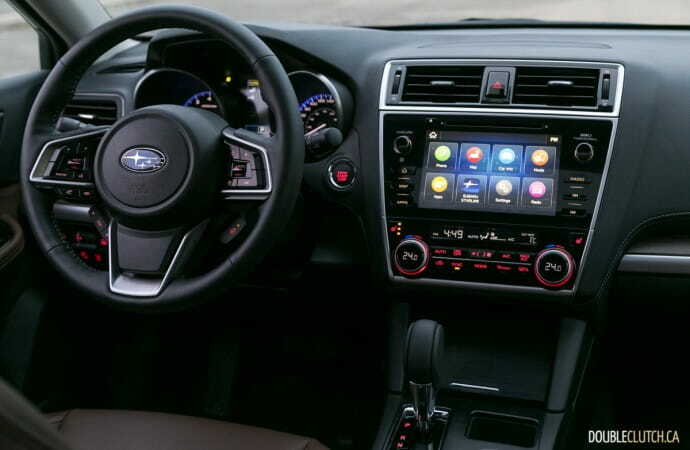 For 2019, the only real update (besides the cinnamon paint hue) is the addition of a 6.5-inch touch screen (still with CarPlay and Android Auto) to the base model, so we should expect to see Subaru climb back to its rightful spot near the top of the quality charts again soon. While Subaru’s smaller Crosstrek and Forester SUVs appeal to a younger demographic, and the new Ascent 7-passenger ute reaching those who need full-size space, the Outback is an outstanding choice for the baby-boomer segment looking for a one-car-does-all solution. 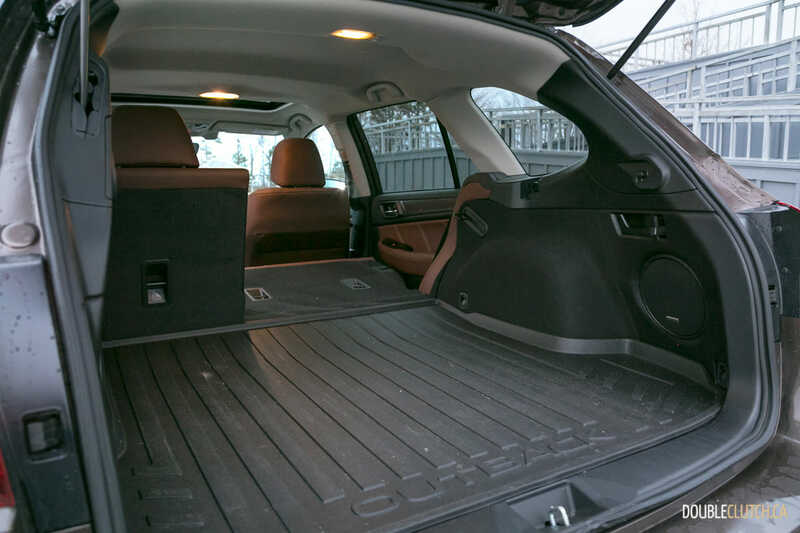 It’s got plenty of space inside up front and in the rear seat, plus an enormous cargo hold, making it a great machine for snowbirds heading south each winter. 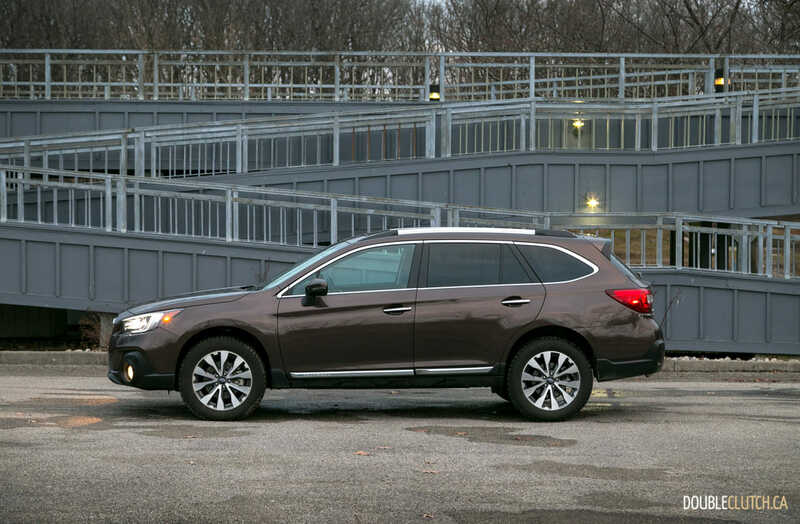 What’s more, its slightly elevated ride height means passengers need not flop down into a seat, nor climb up awkwardly into one to access the Outback’s cabin. 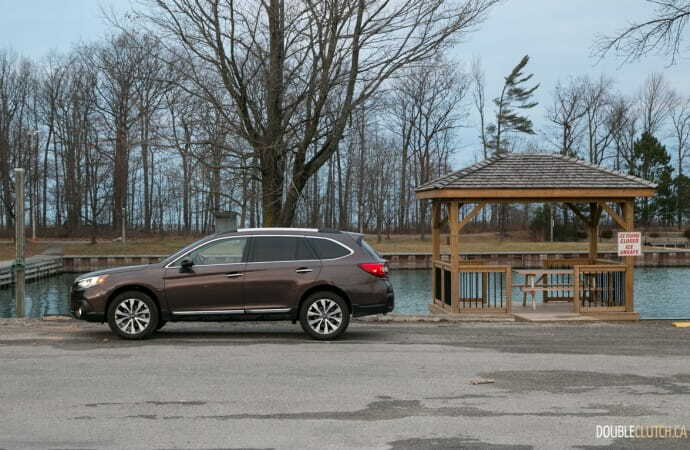 Unsurprisingly, my observations around the Kawartha cottage country proved that even the older demographic who choose to enjoy the winter weather, are putting their Outbacks to good use, with plenty of the popular wagons spotted in the local parking lots. 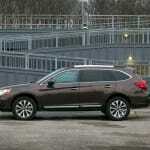 Subaru offers the Outback with two different engines. While the 2.5-litre four-cylinder “Boxer” (horizontally-opposed) engine is the volume seller, my past experiences with this engine found me wishing for more than its 175-hp output. Fortunately, the mill fitted to my test car was the 3.6-litre six-cylinder Boxer that produces 256 horsepower and 247 lb-ft. of torque. While still far from exhilarating, the bigger engine is a fine match for the Outback, making passing manoeuvres effortless and giving it enough grunt to pull away from a stop with authority, even with a full load of passengers and Christmas loot on board. 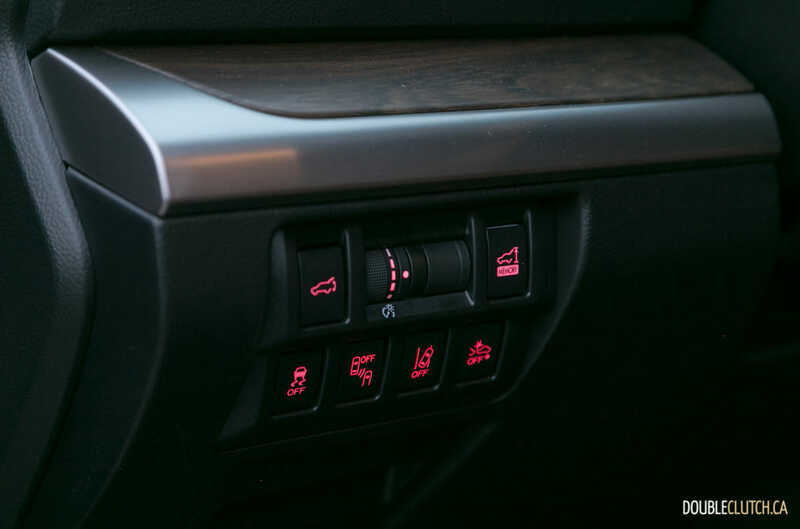 The six-cylinder option costs three-grand more than the four-cylinder in any of the trims except the base model, and is a little thirstier in fuel consumption, but its smoothness, particularly for highway cruising, makes it well worthwhile. Both engines require only regular fuel. Power is directed through Subaru’s Lineartronic CVT transmission, and while no enthusiast is going to get excited to have a CVT, Subaru’s are about as good as they come, and the Outback exhibits minimal “mooing” that plagues some other cars equipped with CVTs. 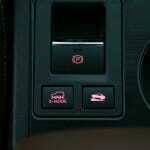 In fact, during most driving, it’s very likely few drivers will notice any difference compared to the feel of a traditional automatic transmission. 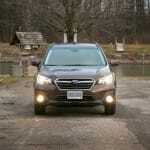 This being a Subaru, the brand’s outstanding symmetrical all-wheel-drive system is standard fare. 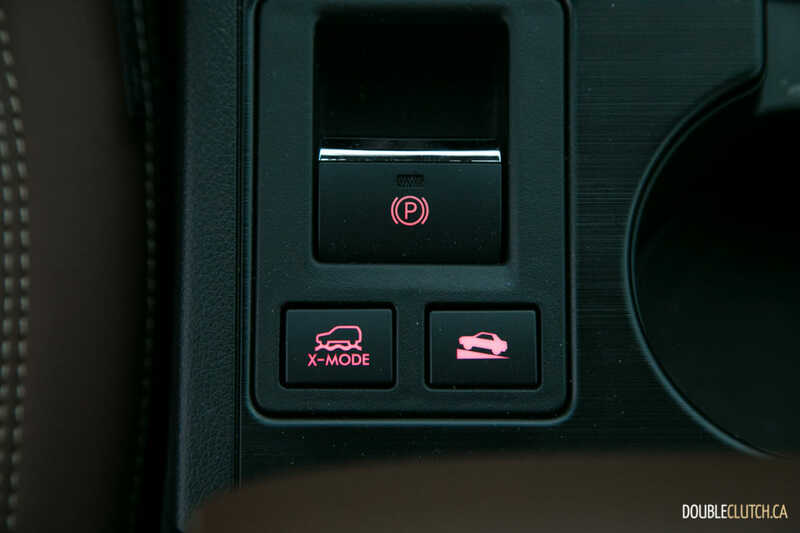 While under normal driving conditions, 60% of the power is directed to the front, it can be apportioned as required to any of the four wheels that can best utilize the power based on their available grip. Fitted with a set of new Bridgestone Blizzak winter tires, my Outback tester would be virtually unstoppable in anything but an outright snow apocalypse, and even then, it’d have a good go of it. 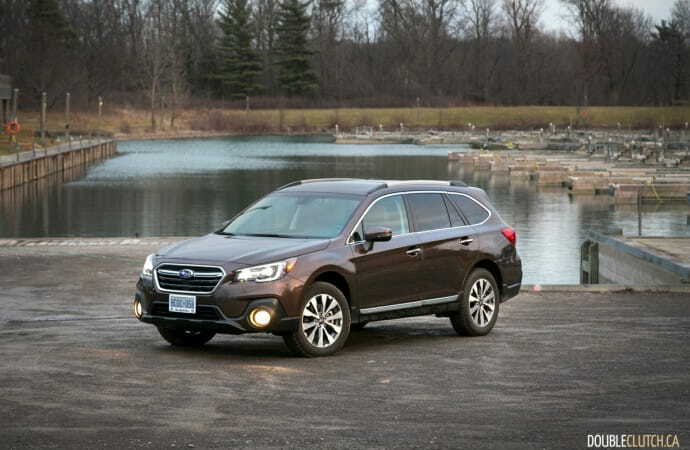 The Outback’s lifted suspension (versus its Legacy sedan cousin), means greater ground clearance for deep snow, or off-roading, and while nobody should take their Outback through serious rock crawling journeys, Subaru’s mid-sized wagon is amazing capable off-road, especially with its X-Mode drive setting engaged, enabling a Hill Descent Control feature for loose terrain. 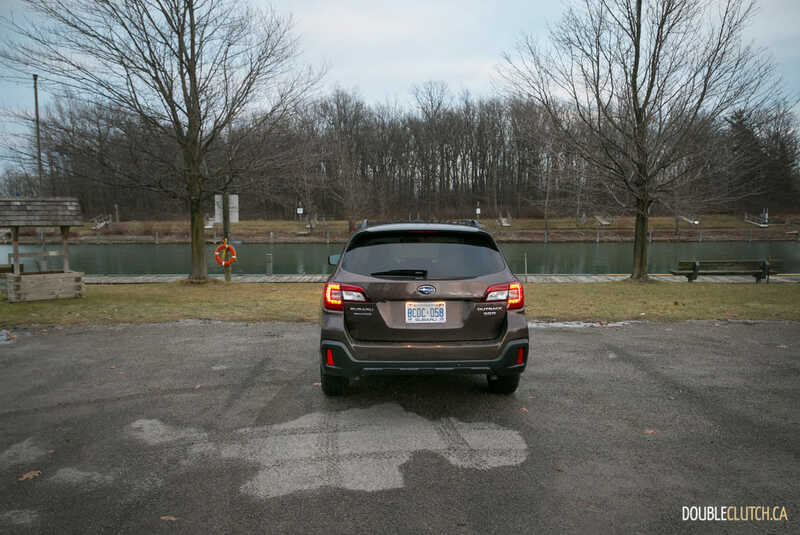 The raised-up suspension does mean the Outback rolls and leans more in corners than a lower, stiffer “sport wagon” might do, but the happy trade-off is a wonderfully compliant ride – one that can also soak up nasty potholes with ease. 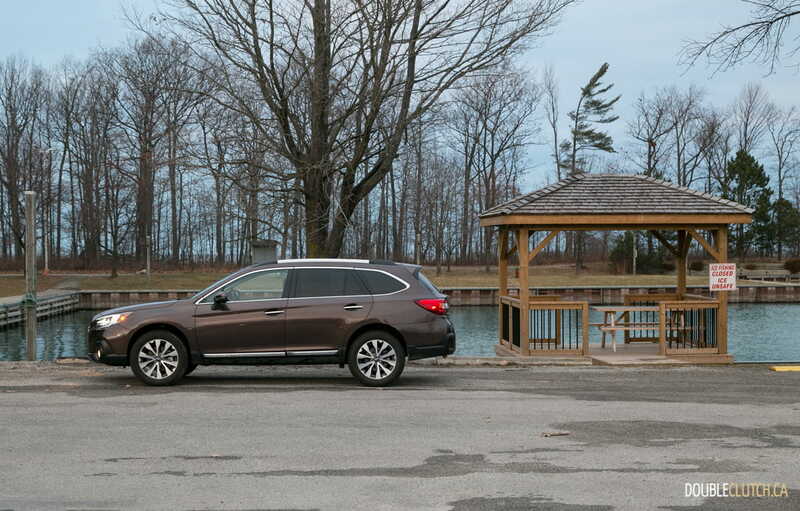 Steering is a bit woolly and lifeless, but thanks to the Outback’s incredible grip, even as it rolls around, it still handles surprisingly well for such a large, tall car. 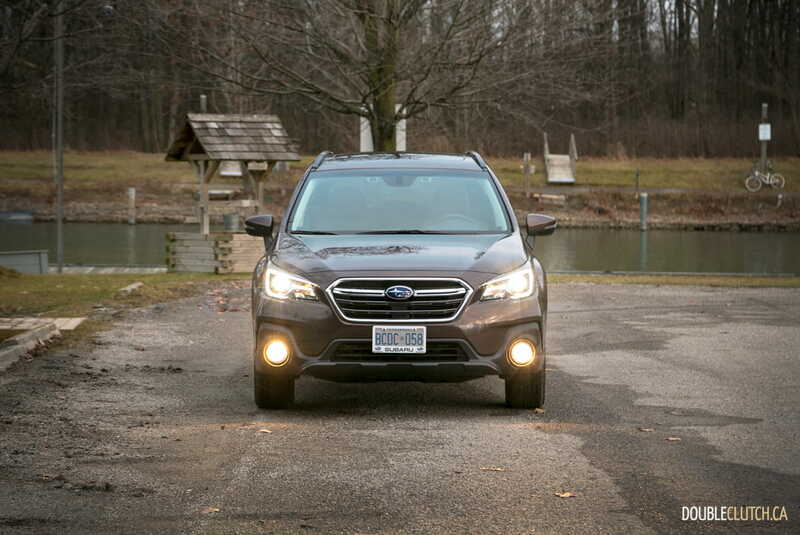 The more time I spend with Subaru’s Outback, the more I understand why it consistently rates as one of the brand’s most popular offerings, year-after-year. 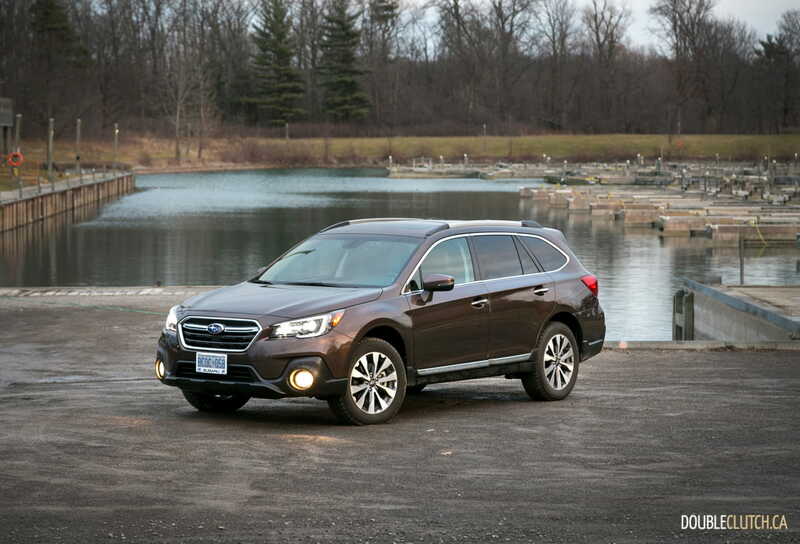 During each of the past few years, roughly 200,000 new Outbacks ended up in North American driveways. 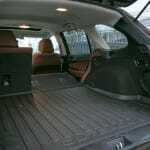 It’s a sensible, capable and practical machine that gives up nothing for quality or comfort. 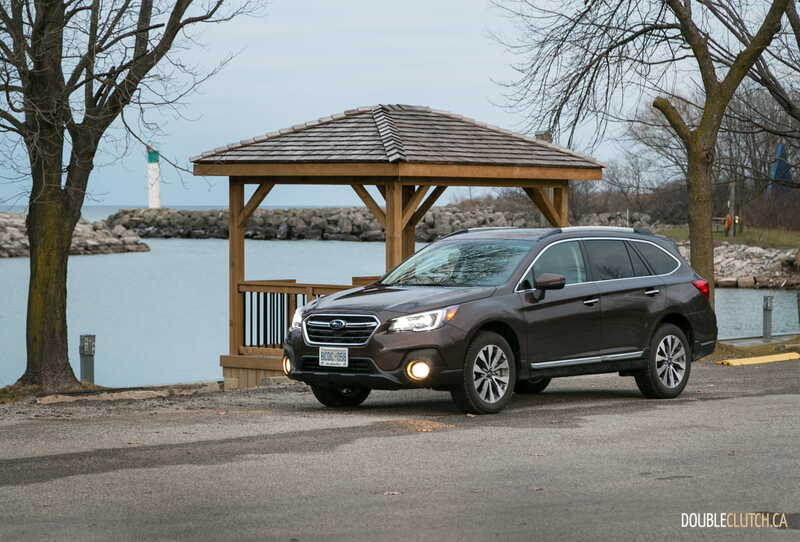 Plus, the wagon format makes it a perfect, practical fit for many buyers’ needs. 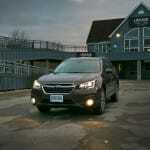 Best of all, having learned from my past mistakes, I now know the Outback is a really smart choice as a holiday hauler.